Winter is tough. So is high school. So join us for a winter retreat this January! Discover God's plan for love and life January 11-13, 2019! The Theology of the Body Immersion for Teens (TOBIT) retreat will be held at Big Sandy Camp near McGregor, MN. * Why did God create us male and female? * What kind of joys await us in heaven? * Why is there evil and how do we overcome it? * How do we experience the love we long for? Mass - Talks - Adoration - Praise & Worship - Confession - Games - Sledding - Bonfire - Friends - Small Groups! Cost: $155. The cost increases to $175 after December 14 (if there are still openings). The $50 non-refundable deposit is due during online registration. The balance must be paid by January 4. There are no refunds after December 14 (please note: the $50 deposit is always non-refundable). Registration opened on Thursday, October 25th HERE at 11:00am. After the retreat fills, we will have a waiting list. View or download the last year's Poster here. TOBIT is for those currently in Grades 9-12 who live in the boundaries of the Diocese of Duluth. 1. At this time, TOBIT is only available to students who live within in the boundaries of the Diocese of Duluth. We are not able to invite those living outside of our diocese because space is limited and we have more students interested in the retreat from our diocese than can attend. Thank you for understanding. 2. When you register, you will make a password. Please remember this password and the e-mail address you used to register so you are able to log back in to check your balance, make payments, and register for future events. 3. As you are completing registration, you are sent to the registration confirmation page. If you see a box within the yellow rectangle agreeing to the “Active Advantage Program,” do not check the box or it will sign you up for a 30-day "free" trial and automatically give you a membership that includes a yearly fee if you do not cancel in time. 4. When you register, you will receive an automatic confirmation e-mail from Active.com. IF YOU DO NOT RECEIVE AN AUTOMATIC REGISTRATION CONFIRMATION E-MAIL from Active.com, please e-mail Annette Merritt to make sure you are registered and we have your correct e-mail address and that your child is actually registered. We cannot add more students after the retreat is filled because you assumed the registration went through. If you cannot find the confirmation e-mail, please check your junk e-mail box. Thank you! The Registration confirmation letter for TOBIT 2017 which includes the packing list and times are included as links in the registration confirmation e-mail. 5. A non-refundable $50 deposit is due at the time of registration. The total cost is to be determined. After you register, you will be able to make payments in your account at https://campsself.active.com/DioceseofDuluth. All payments are due by a date to be determined. A refund of all but the $50 deposit and a $10 fee may be available until a certain date. The deposit is non-refundable. There are no refunds after December 14. You may substitute someone else to fill your place until a date to be determined. After that date, you may not have a substitute attend in your place. Substitutes may be limited by gender as we get closer to the retreat start date. 6. Students are not allowed to have their cell phone with them during the day at TOBIT. They are only allowed to check in with PARENTS on their cell phones at night. Phones are available in case of emergency. If you need to get a hold of us, there is a note and phone numbers on the packing letter you will receive as a link in your confirmation e-mail. 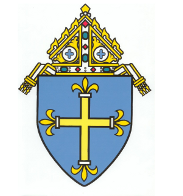 At this time, TOBIT is only available to students who live within in the boundaries of the Diocese of Duluth. We apologize to those living outside of our diocese but space is limited and we have more students interested in the retreat from our diocese than can attend.